This past Monday marked the start of the Men’s and Women’s Golf seasons here at SNU. The Men’s team teed off at their home course, Lake Hefner, on Monday morning while the Women’s team made a trip to Tahlequah to compete in the NSU Women’s Golf Classic. On the Men’s top five, there was Rhett Bechtel, Dylan Igo, Zander Tway, Jacob Prentice, and Ondrej Melichar. In Tahlequah, the Women’s team was represented by Bailey Blake, Sarah Rovenstine, Emilie Jackson, Kaylee Petersen, and Heidi Stafford. Both teams are now working towards their end goal of competing at Regionals and eventually Nationals. 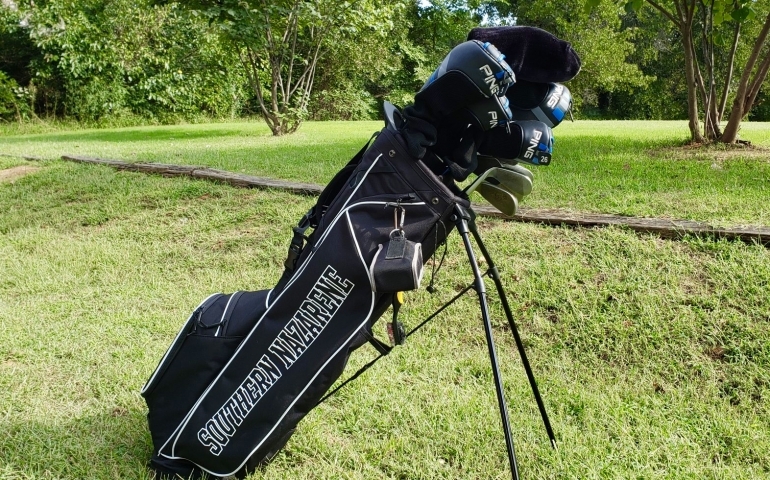 Senior Jacob Prentice shared his thoughts on the Men’s potential, saying, “With the talent we have, we believe we can make it to nationals.” Jacob also hopes to bring home some tournament wins along the way for Southern Nazarene University. With all golfers focusing on learning from the past and working towards the future, SNU Golf is sure to exceed all expectations. The next tournaments will be on October 1 in Edmond, playing in the UCO Classic Tournament, as well as on October 16 in the Central Region Preview, playing in Muskogee, Oklahoma. Come out and support the Men’s and Women’s Golf teams! Carina Hernandez, Staff Writer, is a transfer junior originally from Mission, Texas (as far south as you can go before hitting the border). Carina is a Mass Communications major and also a member of the Women’s Golf team. She hopes to find a career where she can help a community while also doing what she loves: writing, photography, and meeting new people.